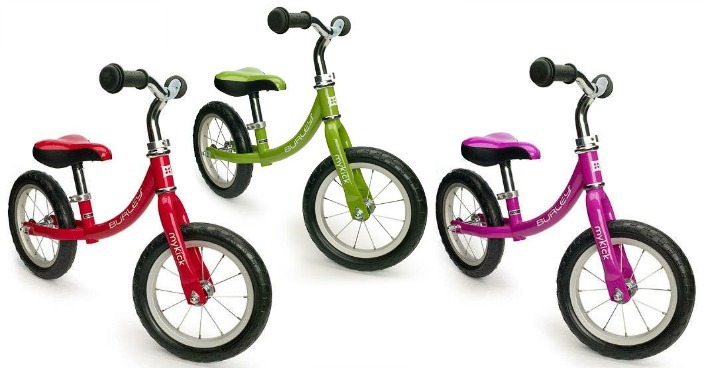 Burley Mykick Balance Bike Only $39.99! Down From $119! You are here: Home / Great Deals / Burley Mykick Balance Bike Only $39.99! Down From $119! Kohl’s has this Burley Mykick Balance Bike on sale for $39.99 (Reg. $119) and is available in Red, Green, and Pink at this low price! Please keep in mind that no promo codes or Kohl’s Cash can be used to purchase this bike. Be sure to choose to pick up your order in-store to save on any shipping costs or you can get FREE shipping with any $75 order.